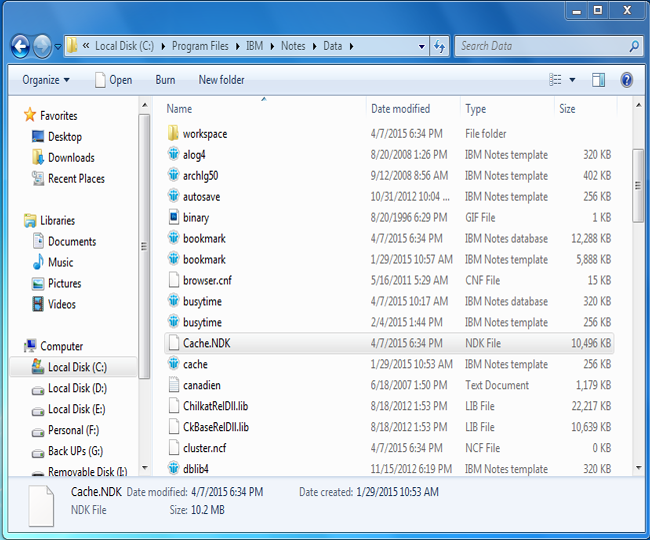 Cache.ndk File is Located in Lotus Notes? By default Cache.ndk file is located in C:\Program Files\IBM\Notes\Data. 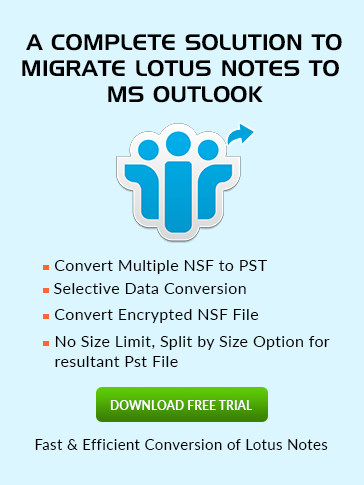 what is cache ndk in lotus notes? Installing Lotus Notes on the Local Machine created two Folders which termed as Data Directory and Program Folder. By default Cache.ndk file is found in a Data Directory folder. This file keeps the cached copy of design elements such as Lotus script Libraries, Forms, Sub forms and Navigators of databases placed on the Domino Server. The vital aspect of this file is that it cached only one copy of design element if the same design exists in several numbers of replicas. Also, it holds the information about unread Journal which facilitates the user to be aware about the read/unread status of Journal while accessing multiple replicas. On deleting the file it is recreated automatically after starting the Notes again. The size of this file can be increased or decreased by the user as per need. However the default size of this file is 5 MB. As the file does not have any inbuilt views or forms, so it can be compacted easily to get the unused space.